Joseph Van Hassel is a North Carolina-based percussionist specializing in orchestral and chamber music. Performance highlights include Carnegie Hall, the Cincinnati MusicNow Festival, the Percussive Arts Society International Convention, the International Tuba Euphonium Conference, and the Hindemith Center in Switzerland. He has performed with numerous orchestras and big bands throughout the USA, and on tour with the 2008 Juniper Chamber Music Festival. A versatile artist in many genres, Joseph has performed or recorded with the Percussion Group Cincinnati, Roland Vazquez, Bernard Woma, and the Ethos Percussion Group. He has worked with numerous composers in the performance of their music, including Steve Reich, Joseph Schwantner, William Bolcom, Jennifer Higdon, Elliot Cole, and John Corigliano. Active in the performance of new repertoire, Joseph has individually commissioned and premiered works by many composers, and is especially noted for his close working relationships with David Macbride, Stuart Saunders Smith, and Dan VanHassel. He can be heard on recordings for the Innova, Mode, Equilibrium, nobrow.sounds, and Ohio Percussion record labels, and his solo CD of percussion commissions is available on Soundset Recordings. He is published in Percussive Notes, and his compositions are published by Media Press and PerMus. An active educator, Joseph has presented master classes and given solo performances at numerous universities throughout the USA, including the Manhattan School of Music, Peabody Conservatory, and the Center for New Music and Audio Technologies at the University of California at Berkeley. 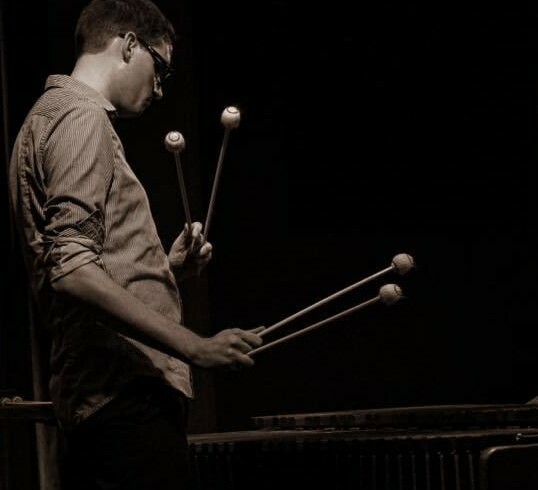 He is on the percussion faculty at the University of North Carolina at Pembroke and Blue Lake Fine Arts Camp, and previously taught at Ohio University. Joseph is a member of the Percussive Arts Society’s New Music / Research Committee. Joseph earned degrees from the Hartt School, the Cincinnati College-Conservatory of Music, and Ohio University. He endorses Innovative Percussion sticks and mallets, Black Swamp Percussion Products, Sabian Cymbals, and Remo Drumheads. Legends often have humble beginnings. Mike Keneally's legend started with a simple phone call. But this is where the 'humble' ends. Practically on a whim, that phone call was placed to none other than Frank Zappa with Keneally offering his services to the master who essentially hired him on the spot. Who does that? What essentially unknown musician simply calls up a rock icon and tells him, "I'm familiar with all your music"? Who does that? Only someone who has the goods to back it up, that's who! Keneally's depth of musical understanding scores near universal praise among his peers. He is renowned as a multi-instrumentalist composer equally adept at guitar, keyboards, and vocals - often performing on all three at the same time! Since those days, Mike has produced over 25 solo albums with Scambot 2 released in 2016. He has recorded on solo piano, with a full rock band, and with orchestras. He has toured with Steve Vai, and regularly tours with Joe Satriani. He's also a guitarist for the live version of the cartoon band Dethklok from Adult Swim's Metalocalypse. 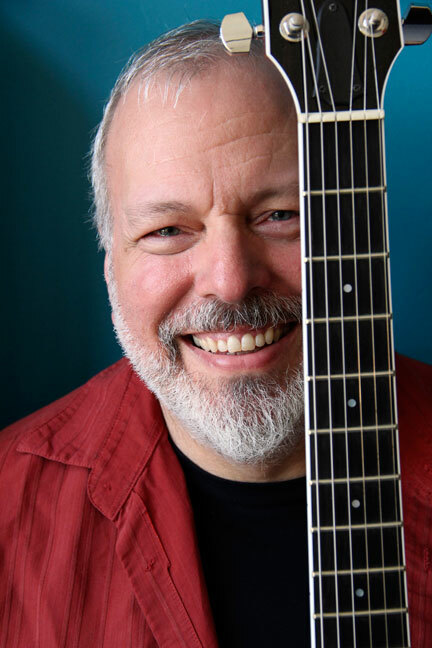 Mike Keneally embodies musical versatility. Thanks to support from FMU Artist Series and Performing Arts Center's Community Series at the BB&T Amphitheatre, this event is free and open to the public! Note: There were visa issues with Mörglbl, the group originally scheduled for October 5. Luckily, Mike Keneally is able to bring together a band for a righteous FREE concert. Daniel Adam Maltz (b. 1994) is a concert pianist based in Vienna, Austria. Born in Lexington, South Carolina, he is a citizen of both Israel and the United States. Daniel regularly appears in concert throughout the US, Europe, and Australia. He will make his Carnegie Hall debut in October 2016. Daniel’s repertoire demonstrates a deep appreciation of the Romantic era as well, especially the works of Schubert, Chopin, and Schumann. Daniel hails from a musical family. His mother is a cellist and his father taught him both piano and composition starting at age four. Daniel made his solo orchestral debut at age 12, gave his first full-length solo recital at age 15, and performed his first European concerts at age 16. He is passionate about music as a live art. By focusing solely on live performances, he hopes to counter digital age distractions by creating an environment that is spontaneous and meaningful; providing a much-needed respite from the noise of our busy digital lives. Fully-devoted to putting forth genuine and personal interpretations of everything he plays, Daniel’s sentimentality, diverse tonal pallet, and ability to communicate profound musical ideas in a pure way form the foundation of his unique and honest artistry. David Marshall Burns, Jr., and Catherine Koger Burns, natives of Charleston, South Carolina, were married and moved to Florence in 1933 where they became actively involved in civic activities and the arts. The Bums Recital Series was established in 1989 by Catherine Burns in memory of her husband and, upon her death in 1995, the Series was renamed the David Marshall and Catherine Koger Burns Memorial Recital Series. Mr. Burns was a graduate of the Medical University School of Pharmacy, with a post-graduate degree in pharmaceutical chemistry. Mr. Burns was chief pharmacist at Roper Hospital in Charleston until 1933 when he became Medical Service Representative for Eli Lilly and Company, Pharmaceutical Manufacturers, and moved to Florence. He was a member of the South Carolina Pharmaceutical Association as well as the Traveling Men's Organization. He served on the Board of Health of Florence and was Chairman of the Salvation Army Board. He was a member of the Board of Stewards of Central Methodist Church. He was volunteer instructor of pharmacology at McLeod's Nursing School and was twice chosen by the nurses as outstanding teacher. Mr. Burns was a member of the Society for Preservation and Encouragement of Barbershop Singing in America, Inc., an organization dedicated to the support of a hospital in Kansas which treats children with speech and hearing defects. He was a member of The Graduates, a Quartet which performed at various affairs including Art's Alive at Francis Marion University. He was honored by the local chapter in 1973 and again in 1984 when he was chosen Barbershopper of the Year. His hobby was antique clock collecting and repair. His collection of about 250 clocks went to a museum in North Carolina. After his retirement from Eli Lilly, Mr. Bums worked part-time at Dixon's Drug Store on Dargan Street. Catherine Koger Bums was a graduate of Memminger High School in Charleston and later earned degrees in Music and English at Coker College in Hartsville. A talented actress, she later took post graduate work at the University of North Carolina and studied drama at the Bennett School, Millbrook, New York. After a brief attempt to make a New York career in the theater, Mrs. Bums returned to South Carolina and taught piano in Midland, South Carolina, under the supervision of her cousin, Nell Mellichamp. Soon thereafter in 1933, she was married to David Marshall Burns of Charleston. In Florence, Mrs. Burns continued to perform as a regular with the Florence Little Theatre and played several leading roles in radio dramas produced by WIS, Columbia, and WCSC, Charleston. As a frequent reader at her Sorosis Literary Club, Mrs. Burns became regionally recognized as an interpreter of the poetry of Dubose Heywood, Harvey Alien, and others. For many years Mrs. Burns performed dramatic readings and narrations at Christmas and Easter Holidays at Central United Methodist Church and Timrod Park. Probably, however, the most satisfaction she ever derived from the use of her talents was when she was "The Story Lady" and read classic stories to the children at the Florence Public Library. This cherished activity was resumed in her adopted hometown of Tallahassee, Florida, where she lived until her death in March 1995. This recital series is a tribute to David and Catherine Burns and their valuable contributions to the enhancement of the arts in the Pee Dee. 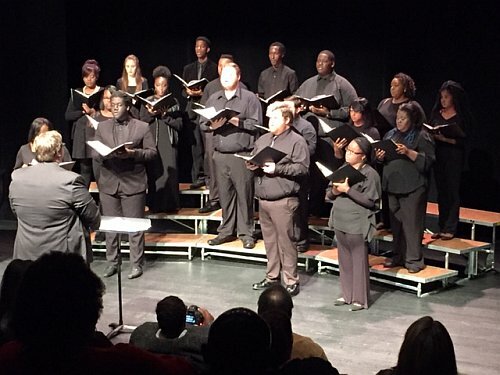 Open to all university students, the University Concert Choir has an average enrollment of between 35 and 45 students. This group has sung in numerous area churches and has also performed with the Florence Symphony Orchestra. They have performed such major choral works as the “Polovetzian Dance and Chorus” of Alexander Borodin, the “Schicksalslied” of Johannes Brahms, and the Ninth Symphony of Ludwig van Beethoven. Recently their concerts have included selections accompanied by the newly formed Francis Marion string ensemble. Francis Marion’s show choir, CUT TIME is a small, audition-only vocal group. This group performs throughout the region for schools and service organizations. In the fall of 1996 they traveled to Lake City and Charleston, singing in 5 high schools. In October of 1997 they sang at Cosmic Ray’s Starlight Café in the Magic Kingdom at Disney World in Orlando. In 1998 they traveled to Baltimore, Maryland, in Washington, D.C. and in Vienna, Austria. In April of 2002, they returned to Disney World and Cosmic Ray’s Starlight Café. Spring of 2003 included a performance cruise to the Bahamas. RESERVATIONS: Reservations may be made by calling the FMU Performing Arts Center at 843-661-4444 between 12:00 and 5:00 pm. The first 100 tickets for each Mainstage performance are free to FMU students (you must show your FMU ID at the Box Office to receive a ticket). Thanks to Department of Fine Arts sponsorship, all remaining tickets are just $5 each. 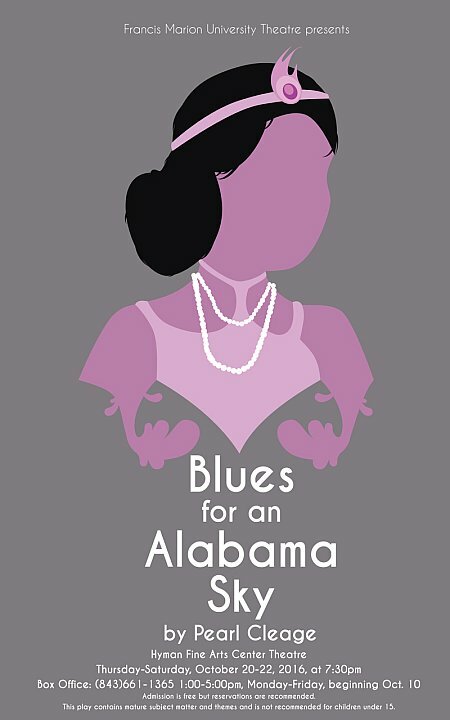 The Francis Marion University Theatre's 2016-17 season will begin with Blues for an Alabama Sky. THE STORY: It is the summer of 1930 in Harlem, New York. The creative euphoria of the Harlem Renaissance has given way to the harsher realities of the Great Depression. Young Reverend Adam Clayton Powell, Jr., is feeding the hungry and preaching an activist gospel at Abyssinian Baptist Church. Black Nationalist visionary Marcus Garvey has been discredited and deported. Birth control pioneer Margaret Sanger is opening a new family planning clinic on 126th Street, and the doctors at Harlem Hospital are scrambling to care for a population whose most deadly disease is poverty. The play brings together a rich cast of characters who reflect the conflicting currents of the time through their overlapping personalities and politics. Set in the Harlem apartment of Guy, a popular costume designer, and his friend, Angel, a recently fired Cotton Club back-up singer, the cast also includes Sam, a hard-working, jazz-loving doctor at Harlem Hospital; Delia, an equally dedicated member of the staff at the Sanger clinic; and Leland, a recent transplant from Tuskegee, who sees in Angel a memory of lost love and a reminder of those "Alabama skies where the stars are so thick it's bright as day." Invoking the image of African-American expatriate extraordinaire, Josephine Baker as both muse and myth, Cleage's characters struggle, as Guy says, "to look beyond 125th Street" for the fulfillment of their dreams. For additional information, visit The University Theatre. ADULT LANGUAGE AND SUBJECT MATTER. RESERVATIONS: Due to recent weather and the closing of the University, we will not be taking reservations in our normal manner. The box office will open at 6:30 pm each evening and you may pick up a ticket for an assigned seat at that time. There is no cost for tickets. The Francis Marion University Concert Band will be performing its fall concert of the 2016-17 season at the FMU Performing Arts Center in downtown Florence. The Francis Marion University Concert Band is composed of FMU students as well as community members from Florence, Lake City, Darlington, Dillon, Hartsville, Columbia, Marion and surrounding areas. Community members include professional area music educators, band directors, choir directors, ministers of music, and FMU music faculty members. Due to the quality of the local talent of the band members, the group has been tagged the "Who's Who of the Florence Instrumental Music Scene." Membership is open to all FMU students and area residents who are experienced concert band instrumentalists. Performances include traditional concert band music as well as popular and show music. The program began as a way to give students of FMU a chance to perform music, earn academic credit for performance in the ensemble, and to become involved with other students in campus life. 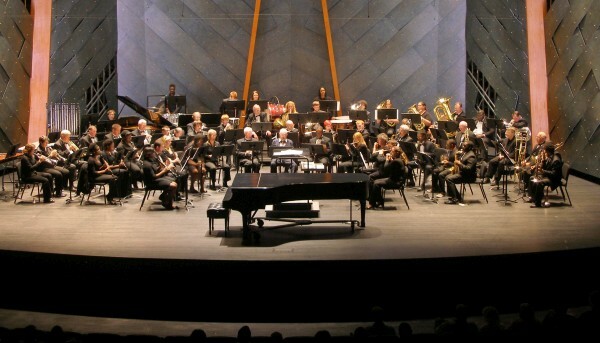 Beginning in the spring of 2002, the FMU Concert Band rehearsals were scheduled on Tuesday evenings and adult musicians from the region were invited to participate. The band continues to rehearse every Tuesday evening. RESERVATIONS: All middle and high school students who show an ID and those younger are free. All remaining tickets are $5 each and may be purchased at the door the night of the concert. Tickets may also be purchased in advance by calling the FMU Performing Arts Center at 843-661-4444 between 12:00 and 5:00 pm. The Box Office is also open 90 minutes before any Presenting Series event, Florence Symphony Orchestra concert, or Department of Fine Arts performance. 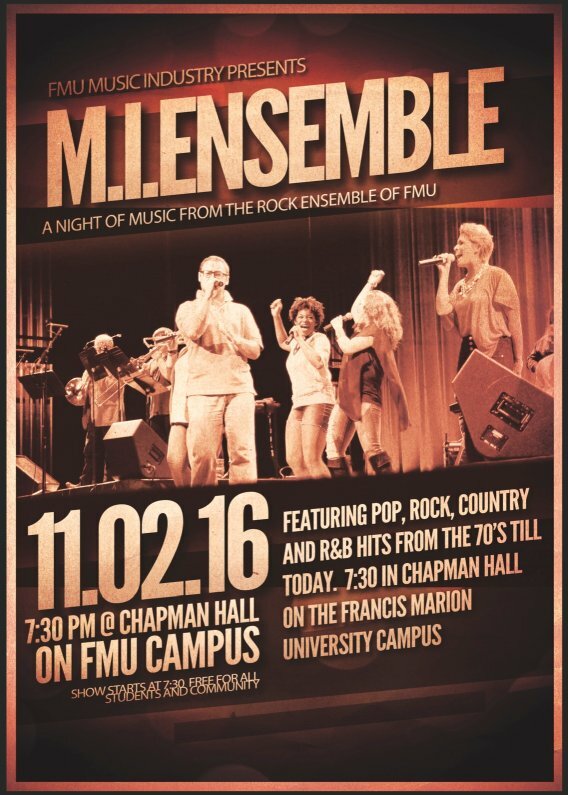 The first 100 tickets are free to FMU students who present valid FMU ID's at the Box Office. For this concert, Tickets are not available online. 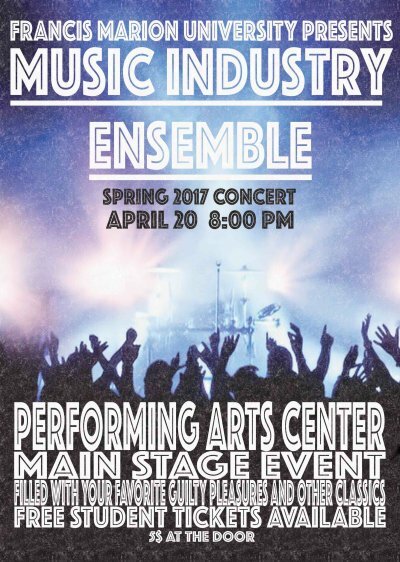 ﻿The Music Industry Ensemble is a chamber ensemble devoted to the development of individual performance and improvisation skills through the staging of music for small groups representing a variety of classic and modern jazz, pop, rock and soul styles. The M.I.E. provides a workshop in which students also learn arranging, microphone technique and scheduling, sound reinforcement and lighting design. Please contact Dr. Brandon Goff bgoff@fmarion.edu for additional information about participating in the M.I. Ensemble. RESERVATIONS: Free admission, no advance reservations. The percussion ensemble performs music written expressly for percussion. 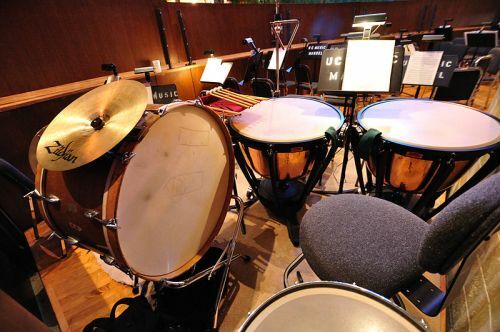 The works performed by the ensemble utilize a variety of percussion instruments and encompass a multitude of musical styles including classic works for percussion ensemble, world music, transcriptions, and contemporary percussion music. 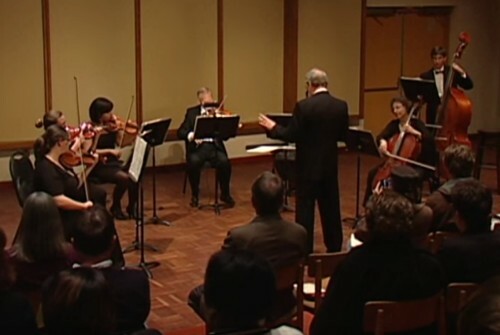 Open to all university students and faculty interested in learning and performing chamber music, the University String Ensemble members meet for weekly rehearsals during Fall and Spring academic semesters, giving public recitals and accompanying other campus ensembles. 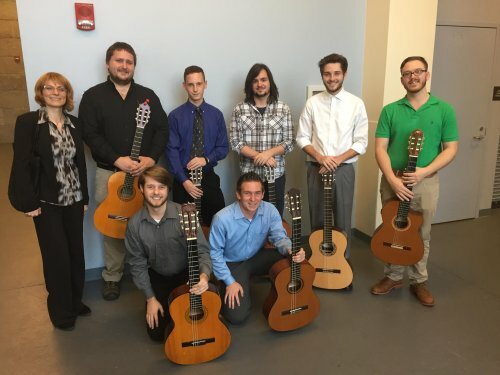 The FMU Guitar Studio Recital provides an opportunity for students enrolled in the Music 190: Guitar Ensemble to perform works written expressly for or adapted for multiple guitars. The FMU Chamber Jazz Ensemble allows students in a small group setting to learn and hone improvisational skills within the the jazz idiom. Music by Pat Metheny, John Scofield, Chick Corea, Wes Montgomery and more. Shane Reeves, a native of Birmingham, Alabama, is currently a DMA candidate in Percussion Performance/Pedagogy at the University of South Carolina with a minor in music theory. He holds a Master of Music degree in Percussion Performance from the University of Florida and a Bachelors of Science in Music Education from the University of Alabama at Birmingham. His primary teachers are Eric Hollenbeck, Gene Fambrough, Ken Broadway and Scott Herring. In addition, Shane has studied drum set and hand percussion with Rick Dior, West African percussion with master drummer Amara Camara and Brazilian percussion with Larry Crooke, percussionist and ethnomusicologist from the University of Florida. Shane has performed with the Central Florida Symphony, Fayetteville Symphony, Gainesville Chamber Orchestra, Palmetto Opera, South Carolina Philharmonic, Wilmington Symphony, J’Ouvert Steel Band, Pantasia Steel Band, Sunshine Steelers, Jacare Brazil, Woyate West African Drum and Dance Ensemble, as well as various rock and pop groups. As a member of the USC wind ensemble, Shane participated in a recording of the music of Leonard Bernstein for the Naxos label and was the principal percussionist during the ensemble’s concert tour of China in 2012. Shane was featured as a marimba soloist with both the University of Florida percussion ensemble and the UAB percussion ensemble. In addition, Shane is active as a freelance performer in various settings including musicals, operas, performances with various rock/pop groups and church concerts. 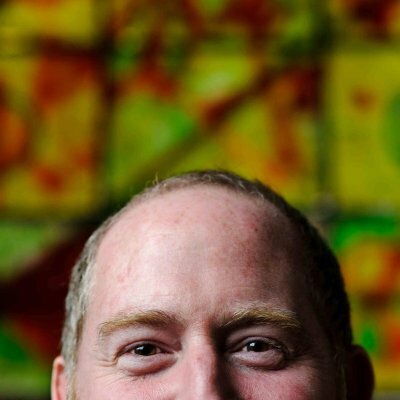 As an educator, Shane has taught percussion at various middle and high schools in Alabama, Florida, and South Carolina. He has directed outdoor and indoor marching percussion lines, concert percussion ensembles, steel bands and has written and arranged music for all of these mediums. For three years he was the Director of Percussion at Hewitt-Trussville High School in Trussville, Alabama where he oversaw all aspects of the percussion curriculum. Shane also served as the front ensemble tech for the UAB Marching Blazers in 2002 and 2003. As a graduate assistant at the University of Florida he taught applied percussion, percussion methods and the beginner steel band. Shane currently teaches applied percussion and percussion ensemble at Francis Marion University and academic music courses at Midlands Technical College. Shane is endorsed by Innovative Percussion and is a member of the Percussive Arts Society. Mark Snyder is a composer, performer, producer, songwriter, video artist and teacher living in Fredericksburg Virginia. Mark’s multimedia compositions have been described as “expansive, expressive, extremely human, ….Snyder’s compositions attract performers who resist to works with electronics as well as audiences who don’t think they want to hear computer processing.” Dr. Snyder is Assistant Professor of Music at the University of Mary Washington teaching courses in electronic music, composition and theory. He earned his D.M.A. from the University of Memphis, an M.M. from Ohio University and a B.A. from Mary Washington College. He is a member of the American Society of Composers, Authors and Publishers (ASCAP), the Audio Engineering Society (AES) and The National Academy of Recording Arts and Sciences (NARAS). Despite what you may think about electronic composers, Mark Snyder does not work in a laboratory. His music does not offer cross-sections of frequencies or waveforms, nor does it mix technology & the canon inside a closed petri dish. Instead, Snyder produces soundscapes that envelope the viewer, and charged arrangements keyed specifically to the moving image. Space is occupied, and space is offered. Works such as Harvey and Alluvium are acutely aware of the passage of time, of duration, and successfully venture beyond the establishment of a mood. Working in conjunction with found and computer-generated video, Snyder moves seamlessly between high and low influences, and the realms of “art” and popular music. Put simply, it is his mission to engage the listener, as much to experiment with the esoteric forms and technology particular to his discipline. Tickets: Thanks to Artist Series sponsorship, admission is free. 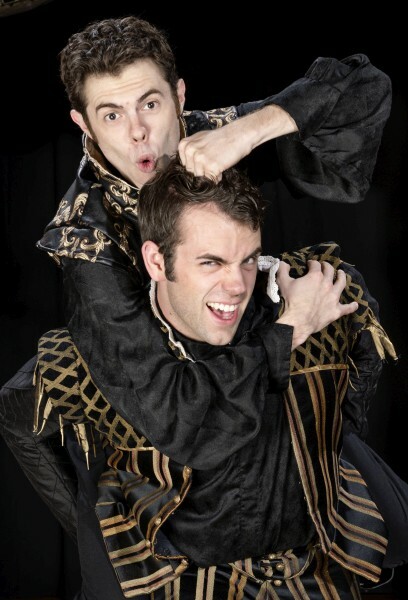 The Francis Marion University Artist Series has chosen to bring back the acclaimed touring ensemble of the American Shakespeare Center during their "Hungry Hearts Tour." 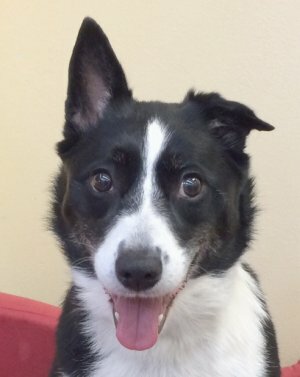 With casting support from the Florence Area Humane Society (which will provide a dog to act the role of "Crab"), ASC will perform William Shakespeare's The Two Gentlemen of Verona. The American Shakespeare Center brings a unique performance style to Francis Marion University, blending Shakespeare’s stage craft with modern sensibility. The company uses Shakespeare’s staging conditions including universal lighting, minimal sets, doubling, cross-gender casting, and music. In Shakespeare’s day, the company couldn’t turn the lights out on the audience; actors and audience shared the same light. The Hungry Hearts Tour leaves the lights on for a type of audience contact rarely seen in modern day theatre. Audience members share directly in the action onstage as they become citizens of Milan in The Two Gentlemen of Verona. The Two Gentleman of Verona also features man's best friend, as Ella, a rescue dog from the Florence Area Humane Society, guest stars as Crab, canine companion to Proteus's witty servant, Launce. The American Shakespeare Center has partnered with FMU and the local shelter to help Ella, and others like her, find their forever homes. The 2016/17 Hungry Hearts production of The Two Gentlemen of Verona features two of Shakespeare's strong female heroines with ASC newcomer Sara J. Griffin as Julia and ASC veteran Zoe Speas as Sylvia. The cast also includes Josh Clark as Proteus, and returning ASC tour actors Ross Neal as Valentine and Andrew Goldwasser as Launce. Other returning actors from the 2015/16 Dangerous Dreams Tour are Cordell Cole, Aleca Piper, and Zoe Speas. Rounding out the cast are Sara J. Griffin, J.C. Long, Kyle Powell, Ronald Román, and Constance Swain. RESERVATIONS: General admission, no advance reservations. This performance is presented free of charge thanks to the generosity of Bernie and Kathy Campbell and the Francis Marion University Artist Series. THE TWO GENTLEMEN OF VERONA. Photo by Michael Bailey. As guitarist for pop-metal band Danger Danger, Andy Timmons toured the world opening for Kiss and Alice Cooper, sold over a million records worldwide, and had two #1 videos on MTV, plus amassing a discography that includes 7 solo releases that range from blazing guitar instrumentals, to blues, and even a Beatles/Elvis Costello-inspired collection of pop tunes. After 4 years in New York with Danger Danger, Andy returned to Dallas in 1993 to resume his studio career and the Andy Timmons Band. In 1994 his first solo release, ear X-tacy, received critical acclaim and was followed with 1997's ear X-tacy 2. He then released Pawn Kings (1997), Orange Swirl (1998), The Spoken and the Unspoken (1999), and And-thology 1 & 2 (2000). In 2001 Andy signed with Favored Nations and released his first international record, That Was Then, This is Now, a compilation of the first two ear X-tacy records and five new tracks. Resolution (2006) marks Andy's first full-length new release for Favored Nations. Andy has been consistently voted a “Top 20 Favorite Guitarist” in most of Japan's rock music magazines’ reader polls, as well as being voted “Musician of the Year” four years in a row in the acclaimed Dallas Observer Music Awards. He also has become one of the most respected and sought after clinicians representing Ibanez Guitars, touring the world on their behalf. Tickets: Thanks to Artist Series sponsorship, admission is free, seating is by general admission. 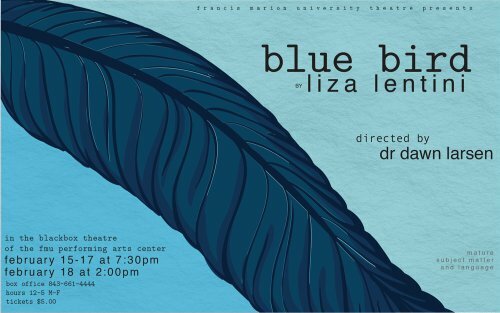 The Francis Marion University Theatre's 2016-2017 season's winter production will be Blue Bird, a new play by Liza Lentini. THE STORY: An amiable, unexpected stranger arrives one afternoon to visit three specific women with his agenda in tow -- but what is it exactly? Surrounded by secrets of past, present and future, imbedded in the aftershock of both war and the broken American Dream, Blue Bird takes its audience on a thoroughly absurd tour of this broad slice of life, both frightening and heroic, with an all too real message and an unforgettable twist you won't forget. 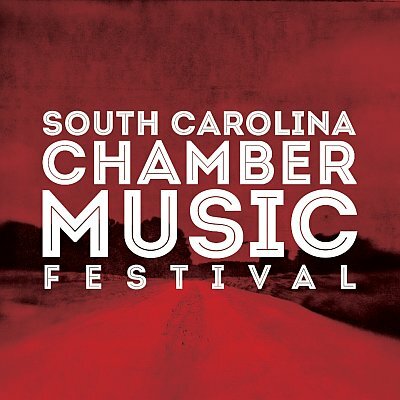 The South Carolina Chamber Music Festival will host a series of chamber recitals to showcase the artists participating in workshops and masterclasses taking place throughout the week. Music by Debussy, Faure’ and Saint-Saens. Advance reservations are strongly recommended due to intimate size of performing space. Events in FMU Performing Arts Center are free for all students with valid school ID. 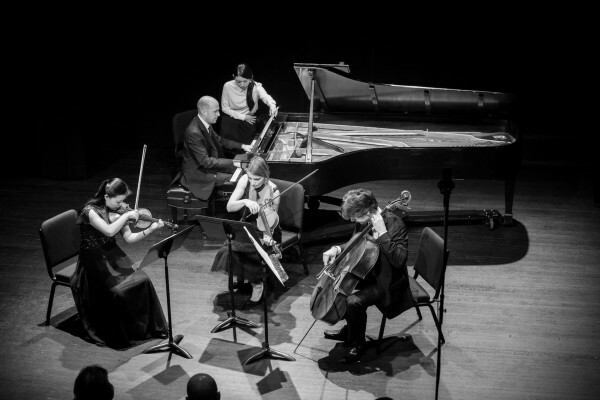 The South Carolina Chamber Music Festival is made possible through funding from the Florence Regional Arts Alliance’s Quarterly Grants Program, which is funded in part by a generous award from Honda of South Carolina, the South Carolina Arts Commission which receives support from the National Endowment for the Arts, and the John and Susan Bennet Memorial Arts Fund of the Coastal Communication Foundation of SC. Additional funding by Francis Marion University’s REAL Program, the Artist and Lecture Series, the Department of Fine Arts, the College of Liberal Arts and the Lake City Creative Alliance. 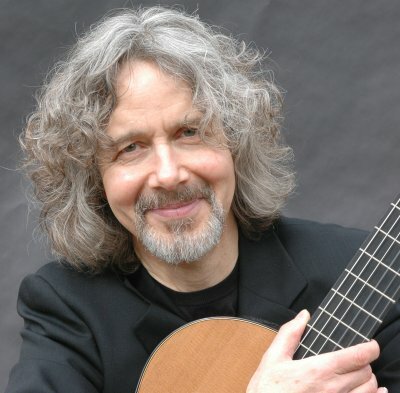 Christopher Berg is a professor of music at the University of South Carolina where he directs the classical guitar program. His students have won top prizes in regional and national competitions. During 1999-2000 he was honored by the University of South Carolina as a recipient of a Michael J. Mungo Award for Excellence in Undergraduate Teaching and in 2003 he was awarded the Cantey Outstanding Faculty Award by the School of Music for performance, research, and teaching. In 2003 his former students created the Christopher Berg Endowment Fund at USC in his honor, which supports The Christopher Berg Guitar Award presented annually to an outstanding undergraduate guitar student at USC. In 2008 he was named a Carolina Distinguished Professor. Christopher received his training at the Peabody Conservatory of Music, in master classes with Andrés Segovia at the University of Southern California, and at the Schola Cantorum Basilensis in Switzerland. He has performed recitals in Carnegie Recital Hall and Merkin Hall in New York in addition to hundreds of recital and concerto appearances throughout the United States including the Dame Myra Hess Memorial Concert Series in Chicago. His New York debut concert at Carnegie Recital Hall in 1981 was praised by the New York Times for its “special sensitivity.” Recent tours have included recitals at the New England Guitar Festival in Boston, the Radford University International Guitar Festival in Virginia, the Appalachian Guitar Festival in Boone, NC, and the University of Michigan in Ann Arbor. He has been honored by the National Endowment for the Arts as a recipient of a Solo Recitalist Fellowship and by the South Carolina Arts Commission as a recipient of two Solo Artist Fellowships. The Post and Courier (Charleston, SC) called his playing “a stellar display of guitar virtuosity,” and The State (Columbia, SC) found his performance of Joaquin Rodrigo's Concierto de Aranjuez “electrifying… hugely enjoyable and freshly played. 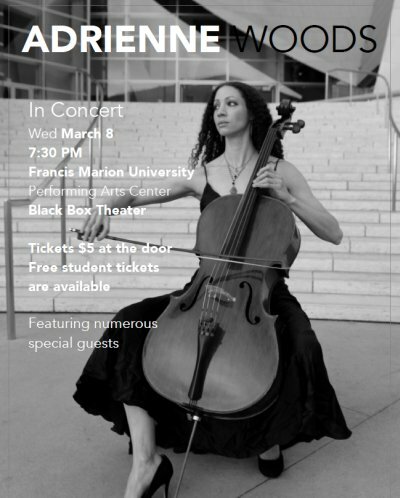 Adrienne Woods is a versatile cellist who performs in many different styles and formats. She adapts her performance style to collaborate with other artists and bring music to life. Whether it is playing for an elegant classical performance with a symphony or a private intimate performance, performing on television and film, or rocking out on a stadium stage, Adrienne enjoys engaging in the true heart and soul of the music and audience. Adrienne's diverse background started with her first formal training, with her mother Sherry Woods (professional Violist, Violinist, Educator) and father Benjamin Woods (professional pianist, conductor, and college professor) at age 4. She soon began performing around South Carolina along with her parents and sibling Chris Woods (violinist). This early development led to a deep love and education in classical music, and Adrienne eventually ended up studying at The University of South Carolina with a full scholarship and studying cello with Robert Jesselson. It was then that she also started studying jazz briefly with Bert Ligon, the jazz professor at USC and learned the art of improvisation as well as how to groove and play other styles of music. During the summer break, she attended a festival in Los Angeles, the Henry Mancini Jazz Institute, and it led her and her brother to Los Angeles to seek out a new life in California after graduating from USC. Adrienne continued to play classical music but also learned by playing jazz to indie to rock and hip hop in the diverse Los Angeles scene. Since moving to Los Angeles, Adrienne has played with artists from Josh Groban, Michael Buble, Kanye West, Rod Stewart, Shaggy, Faith Evans, Mary J Blige, The Jonas Brothers, Pink, Adele, Christina Aguilera, Wynona Judd, Jewel, Usher, Ludacris, and many more. You can catch her on many television appearances from American Idol, the Voice, The Tonight Show, Storytellers on VH1, the Jonas Brothers 3D experience, various TV spots like Boston Public, Glee, CSI, How I Met Your Mother, Desperate Housewives. Her latest adventures included two world tours, the All Of Me Tour with John Legend and the Honeymoon tour with Ariana Grande. RESERVATIONS: Reservations may be made by calling the FMU Performing Arts Center at 843-661-4444 between 12:00 and 5:00 pm. Thanks to Department of Fine Arts sponsorship, tickets are just $5 each, with some free student tickets available. Sarah M. Horick, a native of Charleston, SC, is a freelance composer based in the Washington, DC area. She earned a D.M.A. in Music Composition from The Catholic University of America, an M.M. in Music Composition and an M.A. in Music Theory from Florida State University and a B.M. in Music Theory from Furman University. Dr. Horick’s works have been performed in the United States, Canada, and Europe on the programs of international music festivals such as the Asolo Song Institute (Paderno del Grappa, Italy) and the Schlern International Music Festival (Völs am Schlern, Italy) and on a number of collegiate festivals and recitals including Electronic Music Midwest 2009, the 2012 Navy Band Saxophone Symposium, the 2010 SCI Student National Conference, La Salle University’s War and Peace concert, Delta State University’s Electroacoustic Juke Joint, Grand Valley State University’s FreePlay 10, Florida State University’s Festival of New Music, Florida International University’s FEASt FEST, and the University of South Florida’s Women Composers’ Symposium where she served as a guest composer. Her recent collaboration with poet Shannon Berry entitled Lux infinita was recently premiered on the 23rd Annual Christmas Concert for Charity at the Basilica of the National Shrine of the Immaculate Conception and was broadcast internationally on the Eternal Word Television Network. In addition to her concert music activity, Dr. Horick also works with the ArtStream inclusive theatre program in Arlington, VA to develop new musicals for actors with disabilities. RESERVATIONS: Reservations may be made by calling the FMU Performing Arts Center at 843-661-4444 between 12:00 and 5:00 pm. Admission is free to FMU students/faculty/staff (you must show your FMU ID at the Box Office to receive a ticket). Thanks to Department of Fine Arts sponsorship, all remaining tickets are just $5 each. Violinist Francisco Cabán has received wide acclaim for his brilliant technique, masterful virtuosity and beautifully poetic interpretations. A dedicated and sought after teacher, he is Associate Professor of Violin and Chamber Music at the Puerto Rico Conservatory of Music. Among his many activities as pedagogue, he has created the Puerto Rico Conservatory Violin Festival. The Festival has the dual function of exposing students to the most important performance trends of our time, while at the same time giving them the opportunity of sharing the stage with great artists. Distinguished guests include Guillermo Figueroa, José Francisco del Castillo, Francesco Manara, Cármelo de los Santos, Miroslav Hristov, Federico Agostini, Sergiu Schwartz, and the Harlem Quartet. The prestigious string magazine - The Strad - reviewed his pedagogical work in its August 2012 issue. 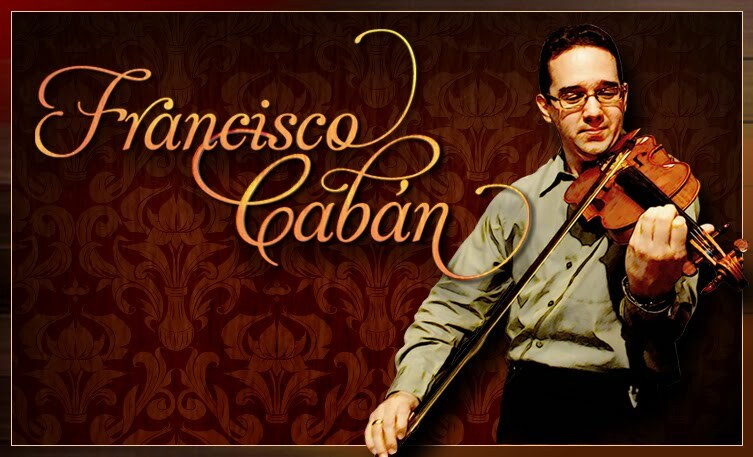 In addition to his performances and educational work in Puerto Rico, Francisco Cabán has presented numerous master-classes and lectures at the universities of New Mexico and Texas, the National Conservatory of Peru and the Latin-American Violin Academy in Venezuela. Among the honors and prizes he has received are the Albert Tashljian at Temple University, and the Puerto Rico Symphony Orchestra Solo Competition. Mr. Cabán graduated with honors from the Puerto Rico Conservatory of Music, and after earning a Masters degree from Temple University, he completed his DMA in Performance at the University of Texas at Austin. His teachers have included José Figueroa, Joaquín Vidaechea, Helen Kwalwasser, Eugene Gratovich, and Gerard Poulet. In his acclaimed debut recording - Ola Nocturna - Francisco Cabán recorded many important works for violin and piano by Latin American composers. His latest release - Ola Diurna - includes music from the Americas for violin with various accompaniment, with accompaniment by pianist Kevin Class and violinist Cármelo de los Santos. Tickets: Thanks to Artist Series sponsorship, admission is free to FMU faculty, staff and students, and just $5 for general public. Internationally acclaimed pianist Enrique Graf is one the world’s premiere virtuosos equally sought after as a soloist, chamber musician and teacher. He has been variously described as an “assured and technically complete pianist” (The Washington Post) and “one of the best interpreters of his generation” (El Pais), who plays with “fiery virtuosity” (The New York Times). “If you ever have the opportunity to hear Graf, do yourself a favor and go” (Newark Star Ledger). Born in Montevideo, Uruguay, Graf began studying piano at the age of four with his mother. After winning all of the national competitions in Uruguay, he was awarded a full scholarship from the Peabody Conservatory of the Johns Hopkins University and the Organization of American States to study with Leon Fleisher. 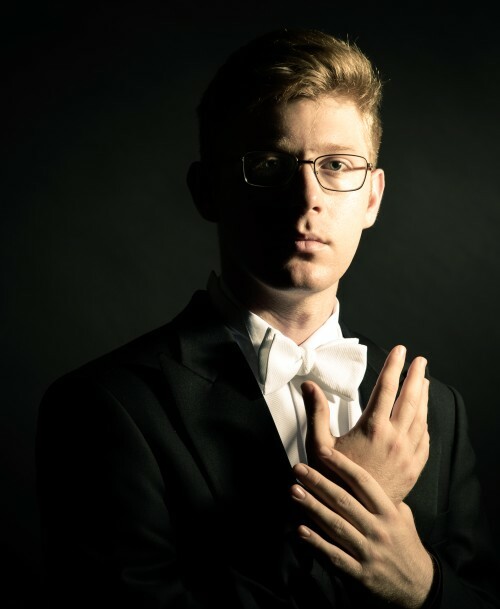 Graf won First Prize in the William Kapell International Piano Competition, the National Ensemble Piano Competition and the East and West International Competition in New York. He has given recitals all over the world and has been featured as soloist with such orchestras as the Baltimore, Indianapolis, New Jersey, Nashville, Pittsburgh, Richmond, Florida, West Virginia, Illinois, Flagstaff, Macon, Augusta, Greenville, Charleston, New York City and Jupiter Symphonies, the Symphony of the Americas, the National Chamber Orchestra, the Illinois Chamber Orchestra, the American Chamber Orchestra, the Hudson Valley Philharmonic, Sinfonia da Camara, South Carolina Philharmonic, Florida Virtuosi Orchestra, the Puerto Rico Symphony, the Montevideo Philharmonic, the Lviv Philharmonic, the Moscow Philharmonic, the Janacek Philharmonic in the Czech Republic, and the national orchestras of Ukraine, Chile, Uruguay, Peru and Colombia. Additionally, he has appeared at Lincoln Center, Kennedy Center, Krannert Center, Weill Recital Hall at Carnegie Hall, Cultural Center of Manila, Teatro Opera in Buenos Aires, Broward Center for the Performing Arts in Florida, South Bay Center for the Arts in Los Angeles, Chautauqua Festival, Young Keyboard Artists International Festival in Ann Arbor, San Miguel de Allende Chamber Music Festival in Mexico, University of Maryland and University of Houston International Piano Festivals, Spoleto International Piano Festival and Music Fest Perugia in Italy, Festival de Vale Veneto in Brazil, “Contrasts” Festival in Lviv and Kiev Music Fest in the Ukraine. As a chamber musician he has toured with Cuarteto Latinoamericano, the Ives Quartet, the Baltimore Wind Ensemble, the American Chamber Players, the Prague Wind Quintet and the Apollo String Quartet. He has performed concertos by Bach, Haydn, Mozart, all five by Beethoven, Brahms, Mendelssohn, Liszt, Tchaikovsky, Grieg, Rachmaninoff, Ravel, Poulenc, Gershwin, De Falla, Turina, Shostakovich, and Lee Hoiby. He gave the world premiere of Florencia Di Concilio’s Piano Concerto, Edward Hart’s Tidal Concerto and performed and recorded for Naxos a concerto by Leonardo Balada. An all Poulenc CD with the Charleston Symphony was a pick of the month by the Sunday London Times and was awarded five stars in Classic CD. His debut recording Enrique Graf plays Bach was called “An end to the discussion of whether or not Bach should be played on the piano” by Paul Hume of the Washington Post. Other recordings of Mozart Sonatas, Mendelssohn and Bach Variations, Mussorgsky’s Pictures at an Exhibition, the Liszt Sonata, the Grieg Concerto, Edward Hart’s Tidal Concerto, Gershwin’s Concerto in F and two Beethoven Concertos have received such praise as “ideal performances” (Fanfare). His latest CDs include a “live” recital with works by Mozart, Beethoven, Chopin, Rachmaninoff, Gershwin, Debussy and Tosar and one with violinist Cecilia Penades with works by Piazzolla, Villa Lobos, Guastavino, Ponce, Fabini and Ginastera. Graf taught for fourteen years at the Peabody Preparatory, became chairman of the piano department and received the Director’s Award for Outstanding Teaching. He created an outstanding piano program at the College of Charleston where he was awarded the Distinguished Research Award and named University Artist in Residence. Graf was also Artist Lecturer at Carnegie Mellon University and taught at the Charleston Academy of Music. His students have won many national and international competitions. He has been a member of the jury in competitions all over the world and has given master classes at Yale University, Oberlin and Eastman Conservatories, the Shanghai and Kiev Conservatories, the Hong Kong Academy for the Performing Arts, Korea’s National University, Federal University of Sao Paolo and many other schools throughout the world. Graf was Founder and Artistic Director of the International Piano Series in Charleston and the Young Artist Series in the Piccolo Spoleto Festival and is co-founder of Music Fest Perugia in Italy.He has been awarded a Fellowship from the Aspen Institute Executive Seminar, the Music Fellowship from the South Carolina Arts Commission, Career Grants from the Charles Del Mar and Astral Foundations, and the Immigrant Achievement Award from the American Immigration Law Foundation. The Francis Marion University Concert Band will be performing its final concert of the 2016-17 season at the FMU Performing Arts Center in downtown Florence. 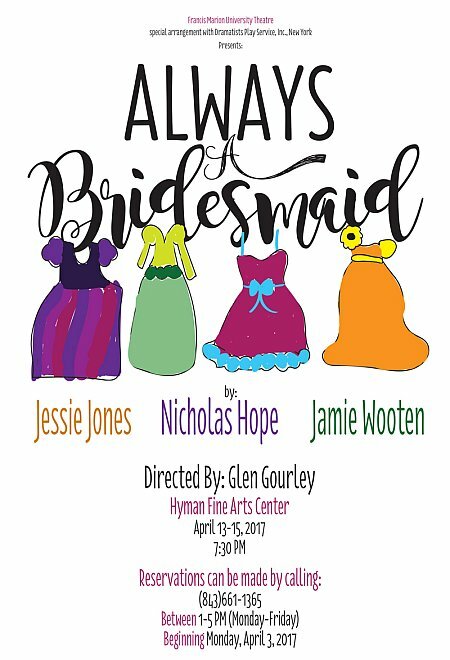 The Francis Marion University Theatre's 2016-17 season's final production will be the comedy Always a Bridesmaid, directed by professor A. Glen Gourley. It will be performed in the Fine Arts Theater in Hyman Fine Arts Center on campus. THE STORY: In this hilarious comedic romp, four friends have sworn to keep the promise they made on the night of their Senior Prom: to be in each other's weddings ... no matter what. More than thirty years later, these Southern friends-for-life are still making "the long walk" for each other, determined to honor that vow. Libby Ruth, the hopeful romantic with the perfect marriage, believes - in spite of all evidence to the contrary - that her friends can find the very same happiness. Headstrong Deedra's "rock-solid" union hangs by a thread when she discovers her husband of many years has not only a wandering eye but the hands to match. Monette, flashy, high-spirited and self-involved, continues to test her friends' love and patience with all-too-frequent trips down the aisle. And salt-of-the-earth, tree-hugging Charlie discovers - the hard way - that marital bliss is not the end of her rainbow and panics in outrageous style when the opportunity presents itself. If you've ever elbowed a stranger out of the way to catch a bride's bouquet, seriously questioned the mental stability of the duo saying "I do" or been forced to wear the world's ugliest bridesmaid dress, this deliriously funny JONES HOPE WOOTEN COMEDY is definitely for you ... and your dearly beloved! RESERVATIONS: Reservations may be made by calling 843-661-1365 between 1:00 and 5:00 pm. Thanks to Department of Fine Arts sponsorship, admission is free. 24 April 2017, 7:30 pm Rescheduled from April 5 due to weather! 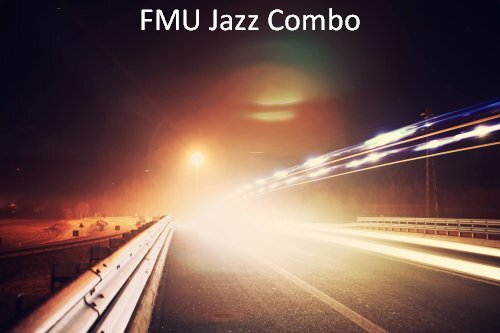 The FMU Chamber Jazz Ensemble allows students in a small group setting to learn and hone improvisational skills within the the jazz idiom. Recently, works have been selected from music by Metheny, Corea, Ritenour, Jobim and others. 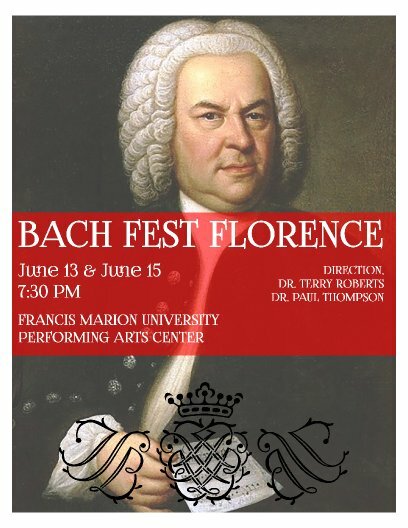 Bach Fest Florence is being organized by a group of professional musicians and singers who enjoy performing the music of J. S. Bach. They hope to make this an annual event in Florence and be able to bring this music to the area at little or no cost to the public. Alma Sehic received her first musical training at the six-year Elementary Music School in Bihac, Bosnia and Herzegovina. After graduating from rigorously academic Srednja Umjetnicka Skola (High School of Music and Arts), her career led her to the United States. She earned her bachelors degree from William Carey College and masters degree from Appalachian State University studying with Miroslav Loncar and Douglas James. During her undergraduate years Alma was the recipient of the “Outstanding Musical Performance” and “Artistic Achievement Award.” She was appointed teaching assistant to Douglas James in 2006 along with a music scholarship and was awarded “Diversity Fellowship” from 2007-2008. Alma completed her Doctor of Musical Arts degree from the University of South Carolina. While a graduate assistant to Christopher Berg at USC, she was recognized for her exceptional teaching abilities in applied lessons, which resulted in an “Honorary Teaching Assistant Award” in 2011. Shorty afterwards, she was nominated for the “USC Outstanding Teaching Assistant Award” by the School of Music. As a participant in various guitar festivals and competitions Alma received 2nd prize in the solo division at the Alabama Guitar Festival and Competition, and won several 1st prizes in the chamber division at MMTA (Mississippi Music Teacher’s Association) Competition, William Carey College In-House Competition and Bosnian National Competition. In addition to competing, Alma performed in master classes for many renowned guitarists such as Jason Viaux, Lorenzo Micheli, Ivan Rijos, Lily Afshar, Canadian Guitar Quartet, Ana Vidovic, Iliana Matos, Nuccio D’Angello, Rey Guerra, Zarko Ignjatovic, Jeffrey McFaden, Valery Hartzell, Olga Amelkina-Vera, and others. Besides her performing career, Alma Sehic is a researcher and educator in the innovative somatic discipline called Body Mapping. 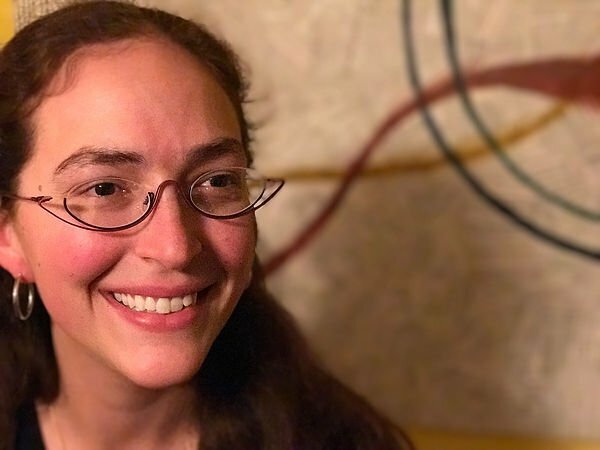 Her project “Body Mapping for Guitarists” has been awarded The USC SPARC (Support to Promote Research and Creativity) Fellowship for its potential to provide major contribution to guitar pedagogy and performing practice. This grant has brought Alma closer to her end goal: being certified to teach the course “What Every Musician Needs to Know About The Body”, and that way promote the importance of body awareness in playing and teaching.